Good Morning! If anyone is interested in Awesome Race Next Weekend Please Contact us ASAP! We have a few Discount Codes :) This is a FUN Race Guys! The Xterra Race Organizers put on a FIRST Class event. Race is Saturday, May 7, 2011! Runners - We are under 2 weeks before the 10th annual XTERRA Malibu Creek Challenge Trail Run. 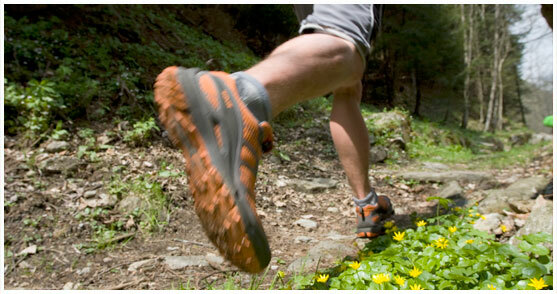 With a field of 700 runners attending the event, get ready for some fun and challenging running on the trails. Please read this ENTIRE email before the event. There is important updated information thoughout the email - so read it all! • It's our 10 year anniversary! • We've got GREAT Tech-T's for all runners. Get'm while they're hot! • KASHI is bringing out an awesome spread so bring your appetite - and we'll have a hot breakfast as well. • We will be awarding the 2011 SoCal Series Champions (with sweet medals). Top age group winners get a FREE Entry into XTERRA Nationals. So don't leave early! • We'll also be awarding the select few runners who have done all 7 races in the long course series! • Read the parking info below - please read TWICE. • Weather - it's getting warmer, so hydrate, hydrate, hydrate before and during the event! • Food / Coffee / Grub - only racers will be allowed into the food tent. After the runners have had their fill, friends and family can partake! • Race Check In begins @ 6:30am. So plan your morning accordingly!• Bring ID at check-in. Race bibs will not be distributed without showing ID. This includes: active.com email, credit card statement, cashed check or email confirmation from Generic Events. No Exceptions! The issue is that we getting more and more people showing up who are not on our registration list. If we do not have a bib for you and cannot provide this information to us, we will charge you for the race and refund you when you show proof of your registration and payment. If you haven't registered yet - get on it. Here's the active.com link. Remember, parking will take time, so please be patient and plan ahead. We are opening the parking lot at 5:30am to accomodate participants. Parking is now $12 - please have correct change. Also, please be alert on race morning, we have been requested by the parks to get cars into the lots (and off Las Virgenes) as quickly as possible, so please pay attention and follow the volunteers' directions. Do not park off of the pavement or you will get an expensive ticket. And park as close as possible to the adjacent car! The Malibu Creek lots will accomodate 400+ cars, which means that anyone that arrives after 6:30am will need to park at either the free lots around Mulholland/Las Virgenes intersection or the paid lot at Tapia Park. Tapia Park is 1.5 miles south of Malibu Creek State Park on Las Virgenes Road, and we will be operating a FREE shuttle from 7am - 12 noon. We encourage the 6k mile runners to park in these outer lots to allow the 22k runners to arrive early, since their race departs at 7:30am. Click here to see a map of all the parking lots. Better yet, try to carpool! We’re on the hunt for additional volunteers; so ask your friends and family to come out! Call time is @ 5:30am and all volunteers get a t-shirt/breakfast and goody bag! 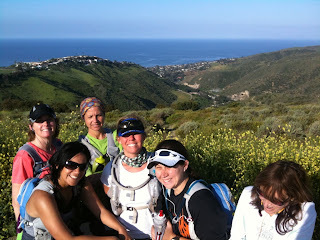 Email us at info@trailrace.com or call 310.821.7898. The parking lot opens at 5:30am and registration/check-in opens at 6:00am. The 22k event kicks off at 7:30am, so please arrive early to allow for parking, checking in and using the bathroom. The 6k event departs at 8:00am, so also allow time for parking. The Post Event Party/Raffle/Awards will start at 9:30am and continue until 12:00 noon, so don’t depart too early and let’s all cheer in the final runners. The race takes place at Malibu Creek State Park, just south of Mulholland on Las Virgenes Road. From 101 Fwy: take Las Virgenes Road south and turn right at Malibu Creek State Park, about 0.2 miles south of Mulholland Hwy. 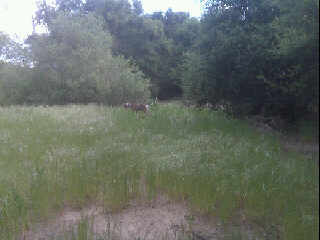 From PCH: take Malibu Canyon Road north for six miles and turn left into Malibu Creek State Park. Temperatures vary this time of year, but based on the current warming trend we’ll probably have a sunny, warm day (high of 80+ degrees). Dress for a cool morning (55+ degrees), but it will heat up as the day progresses! You can shed layers just before Bulldog with the volunteer crew, and we’ll have these for the runners later in the morning. Please carry water if you are prone to dehydration. The trails are in amazing condition and have recently been cleared. As always, please keep you eyes open at all times! 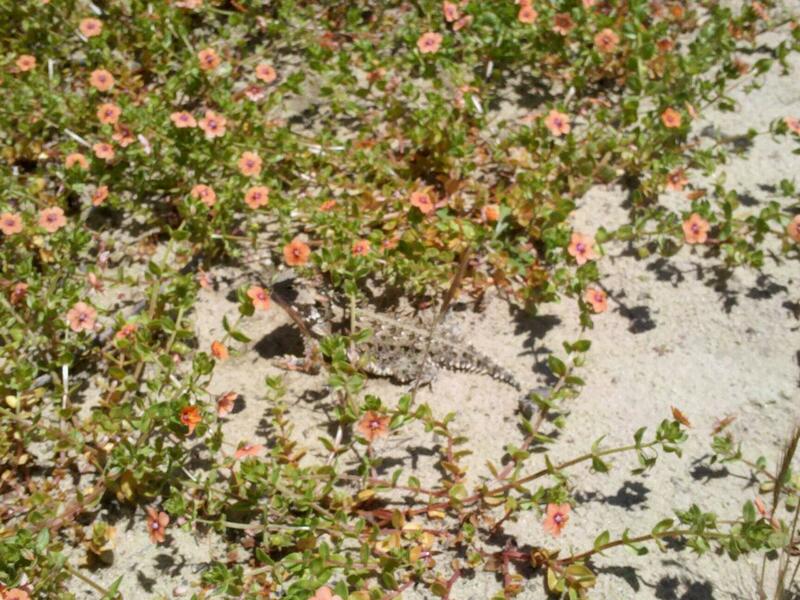 There have been sightings of snakes, so be careful if you’re out in front. Watch the loose rocks in the creek bed. And when passing on the single track trails, be courteous of the person in front (or behind) you. On the 22k course you run on the bridge at Las Virgenes & Piuma, so be careful. There will be a CHP officer on duty, but as always, be careful!! Review the course maps in the Maps section of www.trailrace.com/malibu.html. While we mark the course with signs and flour, we encourage everyone to study the course maps before they run it. There are some tricky turns at Bulldog, Mesa Peak and Tapia, so study the course! All 22k participants are encouraged to carry a water bottle. There is water and Gatorade on the course for you to refill your water bottle. Be sure to thank all of our event sponsors: Clif Bar, XTERRA Gear, Paul Mitchell, GU, Gatorade, Fuel Belt, and XTERRA Footwear! Thank you so much for coming out to Peters Canyon Kick off run! I had a great time getting to see old friends, and meeting new ones! I cant wait to get dirty with everyone on our Thursday night runs. Everyone did AWESOME! Some things we would like to talk to you about and things you should consider... How you will be carrying water? Shoes, some type of nutrition, electrolytes and safety. Please come 10 minutes early this week so we can discuss a few of these things. Hopefully this way we will be able to leave at 6pm as well. I know you all have things to do after, and dinner plans as well. :) If you were unable to fill out a form last Thursday, here is a link to download and print... click here Please have it ready to go and give to me so I can put it in our files. 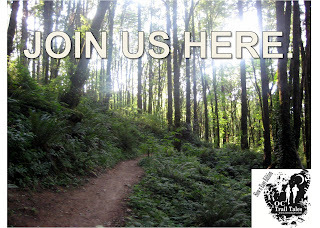 This weekend we will be at Leona Divide 50 miler! Our Leona Group is all trained up, and ready to show us what they have done to prepare for their races! They are all going to do GREAT! I am SO excited, and can't wait to see each one cross the finish line! YAY! So excited! I know you guys are nervous, but you will ALL do AWESOME! You have trained really hard, and have all been really doing well on all of your workouts. :) I am so proud of you! You are invited to join us for our kick-off run tomorrow @Peters Canyon.-Cedar Grove Park, bring a friend and lets have a fun run. The Summer Trail Run Series will make you feel like a kid again. Join your running friends for an evening 5 mile trail run through beautiful Peters Canyon Wilderness Park at this Thursday night summer running series. Stay afterward for music and BBQ. We have the Rough Fit Kids Obstacle Course again this year and a great play area so be sure to bring the kids! Where do you guys meet? What Time do you meet? How far do you run? How Much is your program Fee? 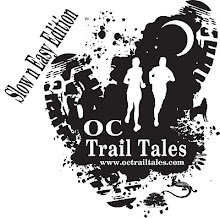 three races, goodie swag bag, oc trail tales training shirt. Come and Run with us starting tomorrow. What a warm weekend! The OC Chili Runners did awesome! This was our last race of the winter and our trail running peeps excelled. 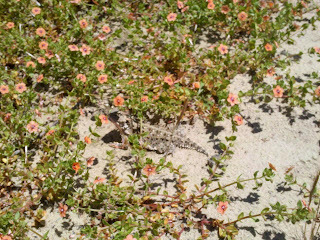 The group started with no experience on Trails and were afraid of snakes, and getting dirty. Now they all have found the magic of running short hilly trails. Everyone is going to spring into the Summer Trail Series at Peters Canyon. Looking forward to finding ways to challenge our running both Veterans and Newbies. Its Easter Sunday this weekend- so there will be no scheduled run for the groups. Enjoy the time with family and friends. And if you have time come out this Thursday at 6pm at Peters Canyon for a short fun run. Come and Train with us starting April 21st at 6pm. This weekend definitely turned out to be a better weekend than I originally thought. The rain came down this week, and I totally thought we would be washed out all weekend. Leona group...OMG! This is why perseverance is the title. We are set to meet at 6am at El Moro for the Leona group to run 26 miles, and I get there, and the trails are CLOSED! Everyone arrives, and we decide to go to Aliso Woods/Top of the World. We all caravan there, and get going (an hour later), and have to cancel on a couple of people that were meeting at later times. Tom leads us through beautiful wilderness that most of the group has never been through before, then it happens...Annalese falls down. She is a trooper, and we all get to Top of the world, and notice, from her knee to her ankle, she is all bloody. Its okay, she is fine...We head back out, and not 4 minutes later, she hyper extends her knee, and it locks into place. Oh man...we have a nice 2 mile walk downhill to get her back to the car. Poor baby. Annalese, I hope you are okay, and I am waiting for your Dr. report. In the meantme, I sent everyone else on there merry running way, while I kept Annalese company, and then I disconnected with Donna, and Elizabeth. Donna, had her whole run mapped out prior to even waking up in the morning, but then was shattered when she arrived. She recouped, and went back to El Moro after our run in Aliso Woods, and did 2 loops on her own to mentally prepare herself. Awesome job Donna! Elizabeth had all her miles in with what we did in Aliso, so I hope you had a great run! You did Awesome! In the middle of all this, Sue had to change locations, and we were texting as we ran, because she didn't want to get up to meet us at 6, so she ended up meeting us at Top of the World, and finished out with Tom and Yolanda. This weekend, We have Chili Groups last Chili Race. We will see you guys at the race on Saturday! You are going to do Awesome! Leona, I know you guys have Ragnar this weekend, and you are all going to do GREAT! Let us know if you are going to be up for a Sunday run. IDK...I think you are all ready, and really, it is better to be under trained than to try to get another long run in. You are all ready. I would rather you are all injury free, especially from Ragnar, and maybe some pavement issues after. Let us know! You are all doing Awesome! With each Trail Run entry get your choice of the BBQ* or event T-shirt*. Additional BBQ tickets and T-shirts will be available for a $5 donation. Come and Train with us starting April 21st at 6pm. ALL 3 RACES are included with Training Program FEE. Hi guys! I hope you all had a fabulous weekend like I did! Most of you know that we were unable to run with you guys on Saturday , and I was unable to run with you on Sunday, because I was recovering from my awesome day out in Oceanside! YAY! I completed my first 70.3 distance, Half Ironman! YAY! After being in my cast for 8 weeks, you all know how miserable I was, and was able to still complete my goal of my first half Ironman. If you don't know what that is, well...1.2 mile swim, 56 mile bike, and then a nice 13.1 mile run. I was really nervous and even started to cry in the car when we got there. Pete was awesome and calmed me down enough to get out of the car and get my gear, and we were off to the transition area where we parted and i had to get ready by myself. I am glad I have had the best training partner to talk me through things over the years, so I knew I would be okay, and have everything I needed. What I didn't realize, was it was an in water start, and totally panicked! I got control of myself by 1/4 mile, and everything was fine. I was either going to have a great day, or not. I decided to have a great day, and make each sport of the event a nice enjoyable one. I am so proud to say, I really enjoyed myself, took my time, and didn't get caught up in anyone else's race but my own. :) Thank you for all your support, i felt every good vibration! Oh, before I forget, I didn't get to mention last week (because I didn't know), Sue Rudolph place 1st in her age division at "Into the Wild" last weekend!! YAY! Way to go Sue! She ROCKED it! she was also awesome, and came out to see me on the run course of the 70.3 Ironman, and cheered with Pete to help me on in! Thank you Sue! From Santa Margarita Pkwy turn on Avenida De Las Flores Make Left at First Light- Via Con Dios- Via Con Dios turns into Via Sosiego then turns into El Camino Montana..Park Along the side of street. You will see the entrance to the park ) This will be our last run before OC Chili Race the next weekend! For the newbies, Please bring water and if you have trail shoes, that would be the best to wear. I know we will have a larger group with all the new Peter's Canyon group coming out to check us out. We are all looking forward to that! If it does Rain Friday we will move the run to the bagel shop and run in Coto @8:00am. 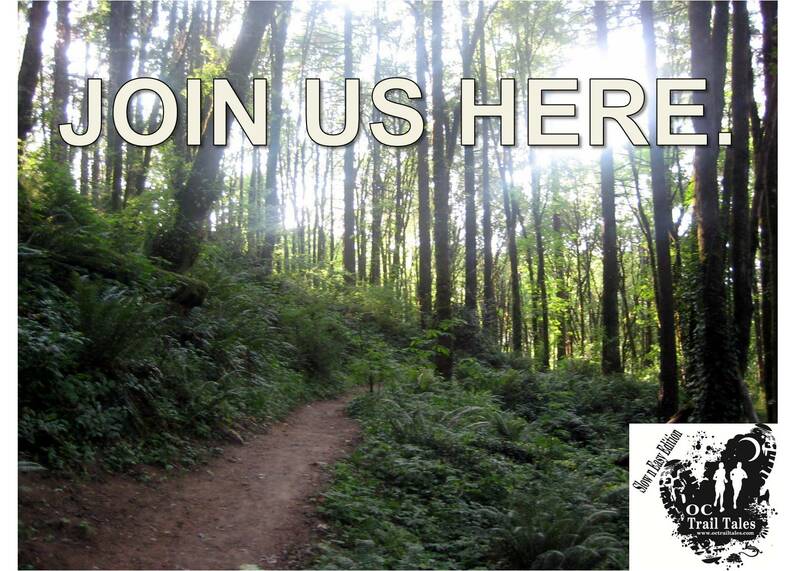 Sunday we have another 26 miles to run for the 50 milers, and 10 for the 30 miles! :) Let's get this last good one in, and then its 2 weeks before Leona! It will be taper time soon! You guys are all doing SO Amazing! Total studs out there! I am glad you all seemed to enjoy the route this weekend as well. Let's meet at El Moro Ridge Park@ 6:00am. We will do the reverse of last weeks route starting with the NIX center and we will add 2 extra miles. For the second Loop Karen please meet us at 8:45am.